Welcome to Littleton Youth Soccer Club! Travel Uniforms are on sale at Soccer Stuff located at 264 Great Rd., Acton, MA, 01720 for all new travel players. The cost of the uniforms is $42.20. No new uniforms can be sold at this time by Soccer Stuff without numbers assigned by LYSC OR by showing the number on your old style jersey. The next board meeting will take place on Wednesday, March 6th at 7:30PM in the Littleton Fire Department Community Room. Interested in understanding the general business, issues, and decisions regarding Littleton Youth Soccer? All Board of Directors meetings are open to the public. They are generally held the first Wednesday of each month at 7:30pm. 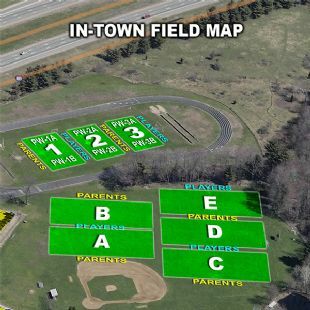 In-town (Pee Wee through U8) games are played on the Russell Street Fields. The layout may change from season to season. 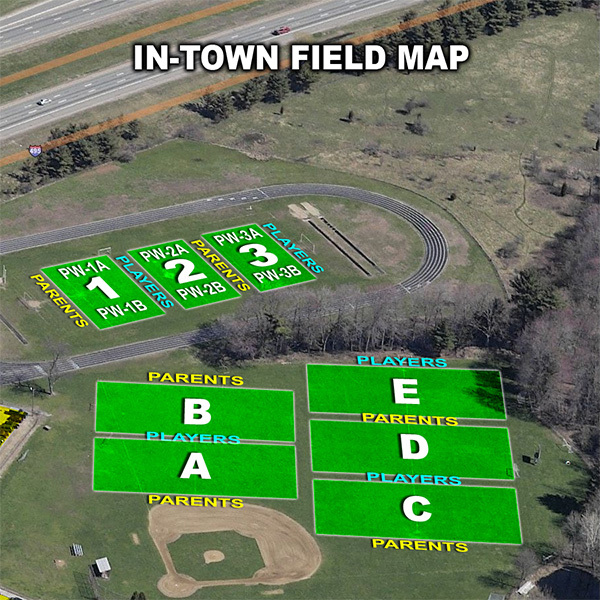 In order to help you find the right field, here is a field map. Wondering if you will have time to complete your practice or game before dark? Click here for a calendar showing the time of Sunset and the end of Evening Civil Twilight.